Heathcrest Heating Systems provide a comprehensive industrial heating installation and maintenance service, installing and maintaining a wide variety of heating and hot water systems throughout the Berkshire area. We have decades of experience as authorised service agents of leading manufacturers, such as Stokvis and Powrmatic. 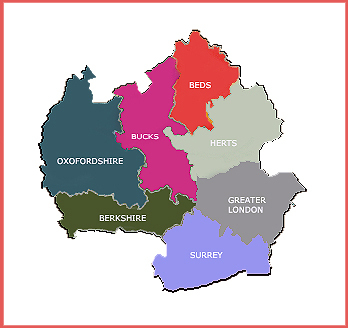 We have many long-standing clients throughout the Berkshire area and in adjoining counties, these range from relatively small industrial units, shops and workshops, to extensive factory complexes and university campuses. Heathcrest Heating have the expertise to present a complete step-by-step design and install process for new build applications and for replacing older heating systems. Ongoing maintenance and service contracts are available, to ensure the early discovery of potential breakdowns, ensuring that costly down-times are minimised. Careful consideration and analysis of your heating requirements, should provide many years of reliable service. Our aim is to supply our clients with the very best service that only a family run business like ours can offer. To discover more, or to arrange a free consultation with a member of our team, please call Jeff on 01494 771211 or fill out the reply form on this page.